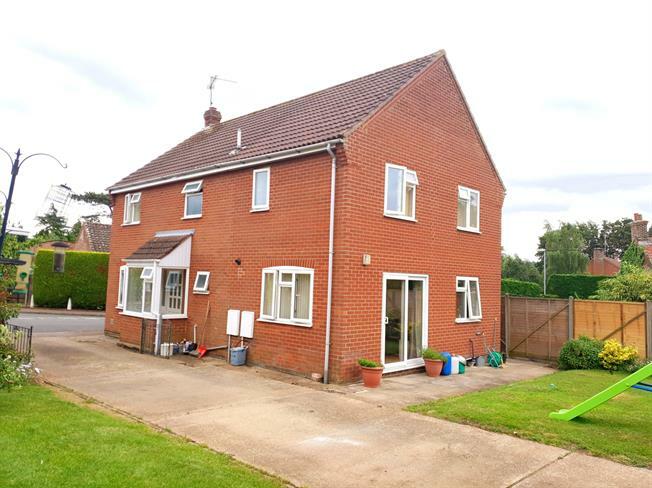 5 Bedroom Detached House For Sale in King's Lynn for Guide Price £295,000. This five bedroom property benefits from having a spacious living room, dining room with doors leading out to the rear garden and a kitchen breakfast room. There are 5 bedrooms and two bathrooms on the first floor. Outside this property sits on a generous plot and has parking for several vehicles and a detached garage. This properties gardens are mainly laid to lawn with patio area and a selection of plants , shrubs and trees.